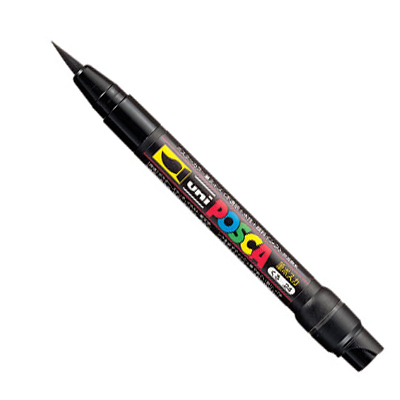 The UNI POSCA PCF-350 Brush Marker is equiped with a soft paint brush tip. 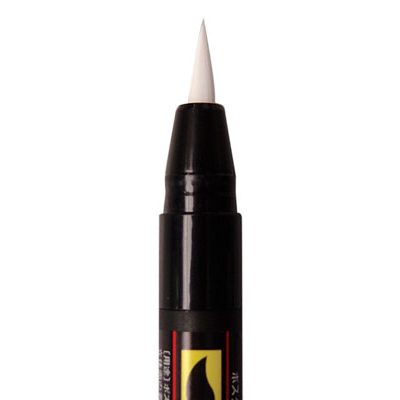 Simply discard the end cap to reveal a push button and gently push the button several times to get the paint flowing into the brush tip. 0.1 - 10mm brush tip.